As all requirements are personal and vary, after an initial viewing taking into account what needs to be done a personal FREE detailed quote is offered. Yes, DFP has public liability insurance and a copy of the policy can be provided, if required. Can i provide my own paint? Yes of course you can, but if required DFP can provide thousands of colours in high quality paint finishes. I have had a water leak repaired and now need to have my ceiling painted, can you do this? Yes certainly, whether you have a water stain on the wall or ceiling it’s not a problem. I have a door that’s not a standard size, can you help? DFP can provide doors in standard as well as non standard sizes. Can you paint the door as well? Yes, whether you would like your new door Painted, Varnished or woodstained it can all be done. Raised mouldings are separate beadings fixed to the face of the door. This is normally fixed around glass openings or fielded panels. Yes DFP offers British approved BS3621 locks, as these are what home insurers specify. What is a strike plate? A strike plate is the part that fits into the door frame where the latch hits the door frame. What is the difference between a 3 lever and a 5 lever lock? A 5 lever mortice lock offers greater security. The higher the number, the higher the security. Can i fit a latch and a lock on the same door? Yes of course you can, you could have a latch with separate deadlocks or a sash lock which houses a latch and a deadbolt in one case. I work Mon-Fri, can you do it at weekends? Yes, No problem. DFP Building Services can arrange a suitable time whether at weekends or during the evening to fit in with your lifestyle. Appointments are available 7 days a week. Do you build Flat Pack Furniture from any supplier? Yes, DFP can assemble flat pack furniture from all leading high street names to online suppliers as long as it can be assembled by one person. Will you fix my flat pack furniture to the wall? DFP will build and position your furniture where you would like it, but will not fix it to the wall. What happens if parts are damaged or missing? To overcome this a kit of spare parts is carried but in the event that it cannot be completed an appointment will be arranged to come back and finish the job. DFP will charge for expenses incurred for the return visit. Why do you not charge per hour as other flat pack assemblers? 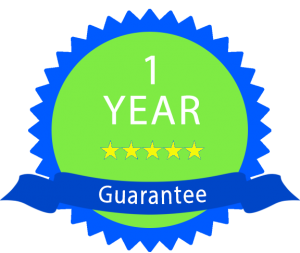 DFP believe in being honest and so by quoting an exact price upfront, customers will know exactly how much they will have to pay. This way you will know you are not being charged for more hours than necessary to complete the assembly. DFP prices are very competitive, so please enquire for a personal quote either online or by calling 020 8546 4653. Will my home be left clean? Yes definately. After the assembly has been completed and positioned where you would like it, the area will be cleaned and rubbish will be put in your bin for you. DFP will treat your home or office with respect and leave it in the same condition it was in the beginning. If you have a question that has not been answered, Please enquire online on the Contact Us page or alternatively by calling 020 8546 4653. "Really speedy and high quality job."